Ever since i saw those movies I wanted to learn how to ride side saddle! it looks so much more elegant than usual riding. 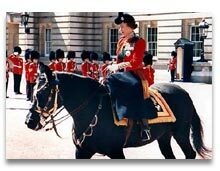 HM can ride side saddle, I'm so jealous of that! Such a pity she can't do that any more! watched the first show of 'Downton Abbey' tonight, it was good. My favorite TV show is "Golden Girls"
I viewed the PBS program Secrets of Westminster. There were many interesting facts to learn about Westminster Abbey, Parliament, and Big Ben. The coronation chair had originally been covered with gold. Big Ben's Tower was first called Saint Stephen's. My favorite show right now is Game of Thrones.